Has Facebook made any progress in stopping election meddling? Ever since the 2016 Presidential campaign, Facebook has been under fire for allegedly allowing foreign influencers to post deceptive ads designed to agitate the political scene in America. Since then Facebook has made claims that they’ve made strides in verifying who has paid for political ads and have removed several accounts thought to belong to Russian and Iranian groups looking to further interfere in the democratic process. So with the midterm elections less than a week away, Facebook must be all good right? Well, as you can probably expect, not so much. 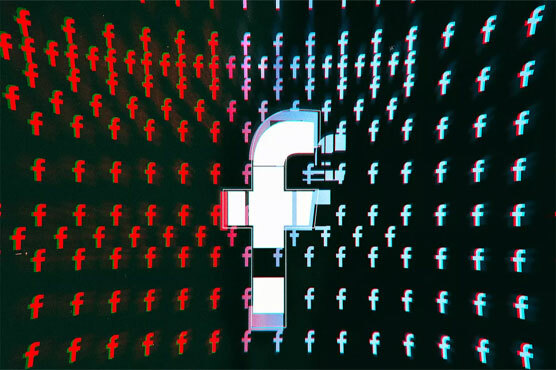 VICE News recently published an expose on just how well Facebook is screening their political ads. VICE paid for 100 political ads on Facebook posing as all sitting US Senators. All 100 ads were approved by Facebook showing that just about anybody with the time and money can allegedly pay for any ad they want posing as whoever they want. Building off of VICE’s idea, Business Insider took another tact by buying an ad posing as Cambridge Analytica, the embattled firm that allegedly exposed millions of Facebook users’ information. Again, the ad was approved by Facebook with no problem. This is just further proof that no one should have their political views influenced by what they see or read on Facebook. Between your hyper-partisan friends who post meme after meme that reinforces their position no matter how wrong they might be, and the fact that just about anyone can buy an ad on Facebook posing as anyone and saying anything, Facebook has lost the fight to be considered a useful tool in political discourse. Anymore, Facebook just exhibits that it’s become the public restroom wall of the nation covered in the graffiti of misinformation. By now, we should all be familiar with the stories about how Facebook was allegedly used by foreign influencers and bad actors to try to sway the 2016 Presidential Election. This has been an ongoing issue even up to the recent 2018 Primary Elections. Many in positions of power have called upon Facebook to try to clamp down on this problem, but what if I told you that it wasn’t Russia that was the biggest threat to democracy on Facebook, but rather it was us? 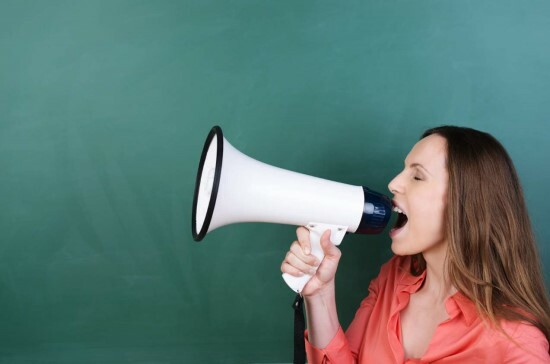 According to a recent study by the University of Wisconsin–Madison, social media users are less informed about politics than those who refrain from social media. The study contributes this to most social users only skimming their social media feeds rather than taking the time to process or even further pursue the veracity of the information. It also doesn’t help that social media is where people go to feel safe in their bubbles of convenience where they would rather regurgitate whatever latest meme fits into their political party loyalty or narrow worldview. If you think I’m singling out one side of the political spectrum over the other, I’m not as both sides of the aisle are guilty of this behavior. So while the typical Facebook user may think he or she is the political scholar in their circle of friends, the odds are they really aren’t and as long as people keep acting and thinking like this democracy will remain threatened from within. In the wake of governmental calls for potential regulation against Facebook, one former Facebook employee has come out to say that Facebook must be regulated since they won’t regulate themselves. 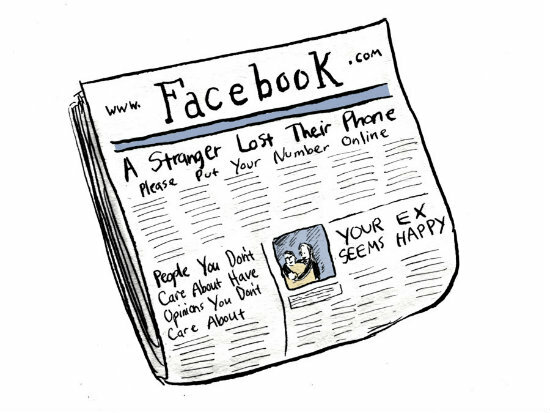 Former operations manager Sandy Parakilas wrote an opinion piece for the New York Times where he calls for the government to regulate Facebook since Facebook cares more about putting a stop to bad PR than they do about privacy. In his piece, Parakilas relates a story from before Facebook’s IPO where a game developer was using Facebook’s user information to automatically generate profiles of children without their consent. When the developer was confronted they claimed that no violation of Facebook policy took place and that there was no way to verify if this was true or not. Mr. Parakilas also calls out the fact that Facebook discovered Russian tampering on their platform after payments for ads were received in foreign currency. He says that much like his own investigation into the game developer, this should have been an easy thing to stop and he calls on the government to regulate Facebook as democracy itself is at stake with the amount of power Facebook yields. Facebook has almost become a world power in itself with the amount of information it possess and its infiltration into our lives. Without regulation it will just become a political tool for hire, being used by any entity who has the money to buy whatever influence they want. Are cowardly CEOs afraid to face Congress over Russia probe? 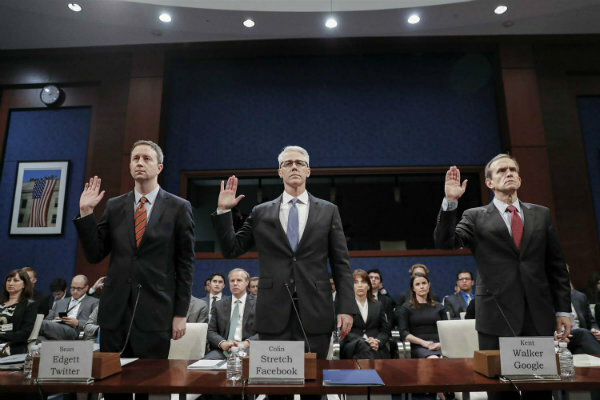 This week, Congress continued its probe into alleged Russian influencers purchasing ads on the internet’s three top platforms, Facebook, Google and Twitter. Rather than appearing themselves, the CEOs of each company sent their legal counsel in their stead. Yes, that’s not unheard of for businesses to send their legal representatives to Congress, but we’re talking about these companies taking money from foreign entities that might have influenced the outcome of the 2016 election. While Congress by and large can be tech-illiterate, at least one Senator seemed to hammer the point home that these companies probably knew who they were taking money from. Minnesota Senator Al Franken showed everyone just how unwilling these companies are to divulge the truth. Of course, Senator Franken did not get a straight answer out of Stretch. Instead the counselor hemmed and hawed his way through a non-committal answer. However, the question remains, why weren’t the CEOs there to answer questions directly? What exactly are they afraid of? Perjury perhaps? Facebook CEO Mark Zuckerberg didn’t comment on the hearings until the day after Stretch’s testimony on an earnings call. “I’m dead serious,” Zuckerberg said. “I’ve directed our team to invest so much in security on top of the other investments we’re making it will significantly impact our profitability going forward.” That investment will include hiring at least 10,000 new employees to focus on security and enforcement. CFO David Wehner later clarified that many of those new jobs won’t be full time but rather contract positions at partner companies. “Protecting our community is more important than maximizing our profits,” Zuckerberg said. Which doesn’t address the problem at hand at all. Zuckerberg was then said to have handed off the remainder of the call to Facebook COO Sheryl Sandberg. Facebook was the biggest offender in this story having served up alleged Russian ads to at least 125 million American users. Considering the entire population of the US is 323 million, that’s not a small percentage of potential voters who saw these misleading ads. That’s more than enough people to sway an election one way or the other. If protecting the community is more important than profits, why take the foreign money at all for American political ads? Facebook can claim hindsight is 20/20 all they want, but there were accusations of Russian political meddling even before these ads appeared on Facebook. So how could accepting Russian currency for American political ads not throw up a red flag? If you don’t think the CEOs of this company aren’t cowards, please think of this for a moment. Even Backpage CEO Carl Ferrer eventually appeared before Congress. So when the CEO of a company that reportedly makes money from the sexual slave trade in this country appears before Congress and these other CEOs don’t, it goes a long way in showing just how scared of Congress they probably are. Is craigslist a breeding ground for political agitation? Not too long ago, Facebook made headlines when it was revealed they had accepted ad revenue from Russian interests who were allegedly trying to disrupt the 2016 Presidential Election. Facebook was even called before Congress and provided the government with the information they had about the Russian group. It was nothing less than a public shaming for Facebook, yet there’s a website that has long been used for political chicanery in this country by its own citizens and no official ever bats an eye at it. Of course we’re talking about craigslist. Both major political parties in this country have accused the other of using paid protesters or paid supporters at many rallies and events. Many of these ads are posted in the jobs sections which means craigslist is accepting ad revenue for these ads. While there have been hoax ads and ads for paid political activism such as canvassing there is still evidence to show that craigslist is being used by political groups to undermine the truth. 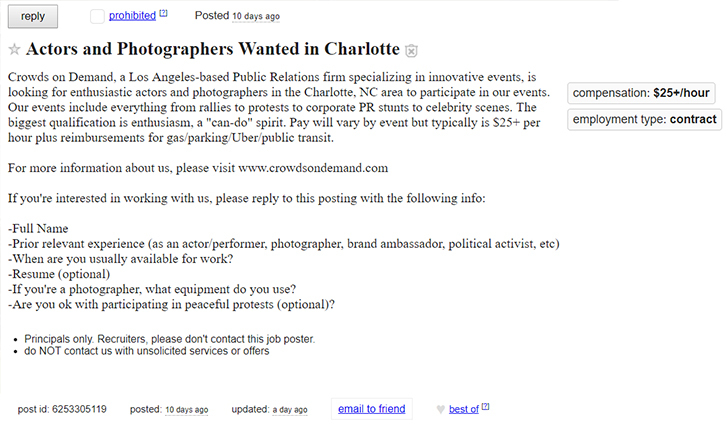 For example, take this ad that was posted on craigslist in Charlotte, North Carolina, offering $25 for actors and photographers. While the company who posted the ad, Crowds on Demand, did not specifically ask for protesters they did mention that they are in the business of hiring people to take place in protests. Even their website has a section for protests and rallies where they pride themselves in organizing a paid crowd to show up for almost any kind of protest. The internet being what it is, I thought Crowds on Demand could be an elaborate prank, but according to NPR they are in fact a real business entity. Even the hoax ads that call for protesters can be disruptive as they often make the local news of where they’ve been posted. 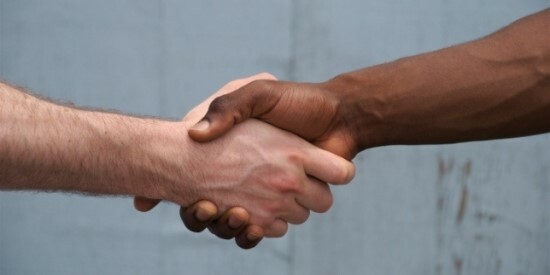 With politics being at a divisive high in our country right now, this usually leads to both sides of the political spectrum accusing each other of trying to fool the public. While all of this is happening, craigslist just continues to accept the revenue for these ads, be they hoax or not, without doing so much as a basic check to see if these employment offers are legitimate, and they’re never investigated for fostering such inflammatory material for money. Again, craigslist will try to tell you they’re a socially conscious company when in reality they’re anything but. In the run up to Election Day in the UK, Facebook has turned to an unlikely ally in their continuing struggle against ‘fake news’. The social network behemoth has taken out several print ads in UK newspapers on how to recognize fake news. While the ads do contain helpful information on how to be a more discerning news consumer, it does indicate something Facebook probably won’t admit to itself. Facebook may feel some responsibility for the fake news that many think unduly affected the 2016 US Presidential Election. 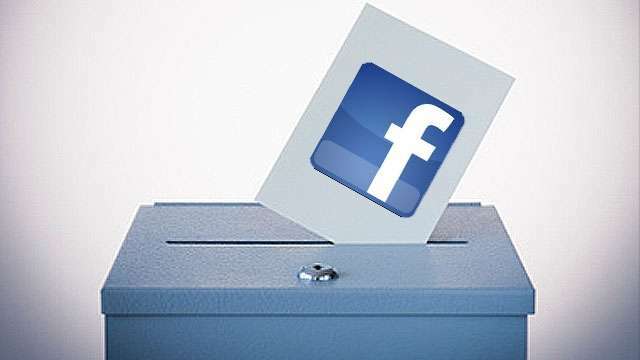 Thousands of dummy Facebook accounts have also been purged in anticipation of the election. However, the problem with the fake news argument is certain individuals have such a confirmation bias that they can’t be turned into more responsible content consumers. Take vaccinations for example. It was once claimed vaccinations caused autism, which caused many parents to forgo immunizations for their children. Even though that claim has been discredited many times over, there are still many people who cling to that fallacy. For many people, politics are their vaccinations. They blindly follow whatever dogma their chosen political party subscribes to no matter who the candidate may be. With those political leanings, many of these people will only read news from sources biased towards their own affiliation. It’s too late for Facebook users like that, they are lost to us. The only way to combat this kind of ignorance is for those of us who can discern fake news from fact to become more active in political matters and to get out and actually vote. Is a politics free Facebook worth it? 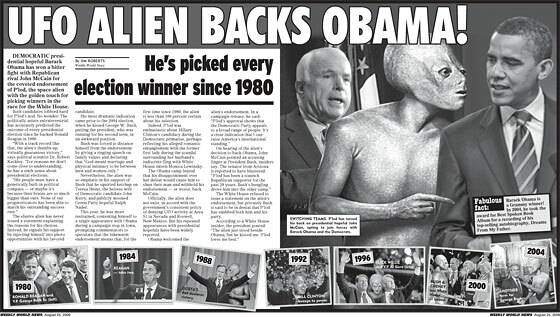 Ever since the start of 2016 presidential campaign, which feels like it started in 1988, it seems like Facebook has been a never-ending series of political memes and rants. Maybe you long for the days for when Facebook was nothing but pictures of cats, what people had for dinner, and baby pictures? Well, today is your lucky day. Fox News recently posted an article that shows you several different options on how you can sanitize your Facebook feed from politics. From following, but not unfriending, friends, to browser extensions, you have several different options to turn your Facebook back to the days before alternative facts and deleted emails. The question is though, should you? If you eliminate all the politics from your Facebook you could be just enforcing your own confirmation bias. While you may find political opinions different from your own distasteful, to turn off those opinions outright is akin to sticking your head in the proverbial sand. No matter how right or wrong some of the Facebook political rants are they do expose you to the lives of others whose experiences are different from your own. So maybe in the midst of those rants you can find a kernel of thought-provoking information. Fake news is a problem, but is it Facebook’s problem? A lot has been made about Facebook and its problem with fake news articles appearing on its social network. We even started discussing this back in August. Ever since Facebook eliminated its human curation staff the site seems to have flooded over night with fake or misleading headlines. In a blog post on Quartz, they discuss a study that shows that a majority of traffic to these fake, or what they call hyperpartisan news sites, comes from Facebook. As you may have surmised, hyperpartisan news sites are specifically designed to garner traffic from members of whatever political party they tend to represent For example, a site called ‘Occupy Democrats’ gets almost 80% of traffic from Facebook alone while the New York times only gets 11%. While Facebook’s former curation team would have prevented stories like this from ending up in their trending topics, it’s ultimately up to the Facebook user who shares and spreads this disinformation or hyperbole. Again, there are too many people on Facebook and the internet in general, who are too eager to share articles that reinforce their confirmation bias no matter how outlandish the premise of the story may be. 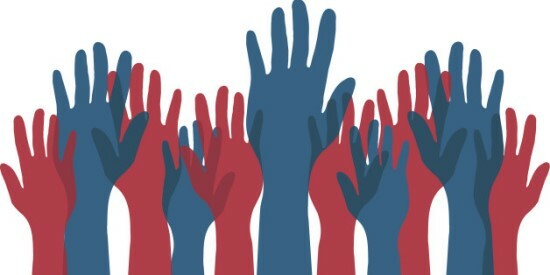 Rather than getting on YouTube and simply complaining about the outcome of the election, tech influencer Shereef Bishay has come up with a plan that he feels will not only give everyday citizens direct representation in congress but our opinions will actually matter. In his YouTube video entitled ‘Upgrading our democracy’ Mr. Bishay refers to democracy as an operating system that is in desperate need of an upgrade. In his plan Mr. Bishay suggests there should be a web portal where we vote on the issues facing congress today that go straight to our representatives. However, if we don’t want to vote on every issue we can give our votes to proxies who can vote on our behalf. The example that Mr. Bishay gives is that you can give your vote to the Sierra Club if you care about environmental issues. The problem is that our current representation are more beholden to lobbyists and special interest groups rather than their constituents and can vote on issues any way they see fit. Mr Bishay has a suggestion for that as well. He believes that there should be an internet candidate to congress who should be legally bound to vote as the way the constituents he or she represents have voted. He suggests we should have these internet candidates in all congressional races until all the old guard is removed and the new system is patched, as he calls it. He does into more detail in his video below and would like to see his video shared on Facebook at least 1000 times before he puts in money himself then starts a Kickstarter campaign to get the ball rolling. Please watch the reasonably short video in its entirety. Are there flaws in Mr. Bishay’s plan, of course there are. There are flaws in almost any plan, and there are definitely too many flaws in the way today’s political system works. We’ve been using the same form of representation for over 200 years and our technology has vastly surpassed that system. Isn’t it time to bring the two on par? Please share Mr. Bishay’s video today. As the saying goes, it’s all over but the shouting, and boy is there shouting. Today, half of us are acting like this is the Apocalypse, while the other half of us are gloating like Emperor Palpatine when he revealed that the second Death Star was full operational. While this has been a very divisive election it’s not the worst thing to happen to our country. If you think this election is bad, consider the election of Abraham Lincoln. You may ask, what was so bad about the election of one of our greatest presidents of all time. Well, Lincoln’s election was the impetus for the South to secede and ignite the country into civil war. 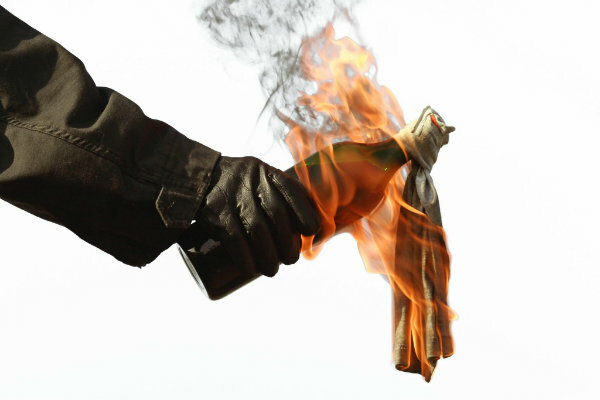 It is highly doubtful that this election will result in the hundreds of thousands American citizens killing each other over political belief. Instead of digging in further to our comfortable echo chambers either, commiserating or celebrating with like-minded people, we should get to know our friends who think differently than we do. Not everyone on the other side from the political spectrum from you is a stereotype of whatever political ideology they subscribe to. As a country we need the more rational of us to come together and work together to keep the country from being even more divisive. We need to set an example to show those who need more convincing that the American people can be united and work together. If we keep practicing ignorance and intolerance, and yes all parties on the political spectrum can be accused of both, it will always be politics as usual, and even more people will become disenfranchised. Now is the greatest opportunity for civility to become the order of the day in so we can really make our country greater than it ever has been.